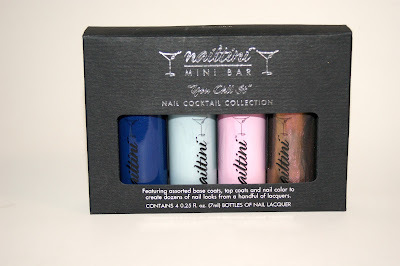 Today I'm going to show you a wide variety of products from Nailtini, the nail products from Tini Beauty. Tini Beauty's product line revolves around the theme of a cocktail party and I'm kind of obsessed with how adorable they are! As you can see, there are Cocktail Napkins (nail polish remover squares), a nail art striping brush, a nail art dotting brush, the Mini Bar Collection (Garden Party - a collaboration with Mad Men's costume designer, Janie Bryant), and a Sparkle Topper (Sparkler). I was also sent Club Soda Fizz, a nail-whitening soak. But I'm going to be reviewing that later after my sister and I overhaul our garden. That will be an excellent test! Warning: This post will be MAJORLY picture-heavy! 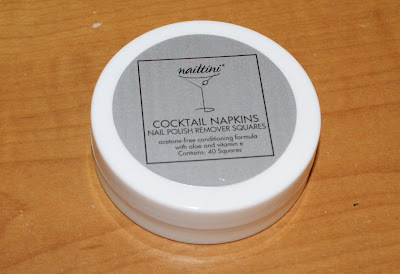 First up are the Cocktail Napkins! 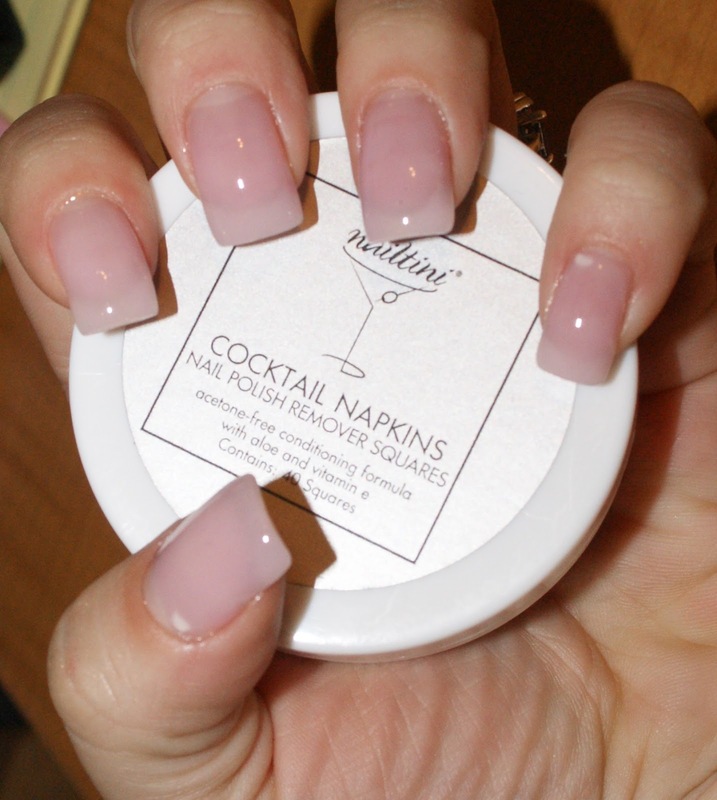 The cocktail napkins are individual polish remover squares that are formulated to help condition your skin, rather than stripping it like most removers do. A non-acetone formula with aloe, I was pleasantly surprised by how great my skin felt after using it and the pleasant lemony smell. I didn't have that pungent smell hovering in my room afterwards, which was a major plus. How well did it remove? 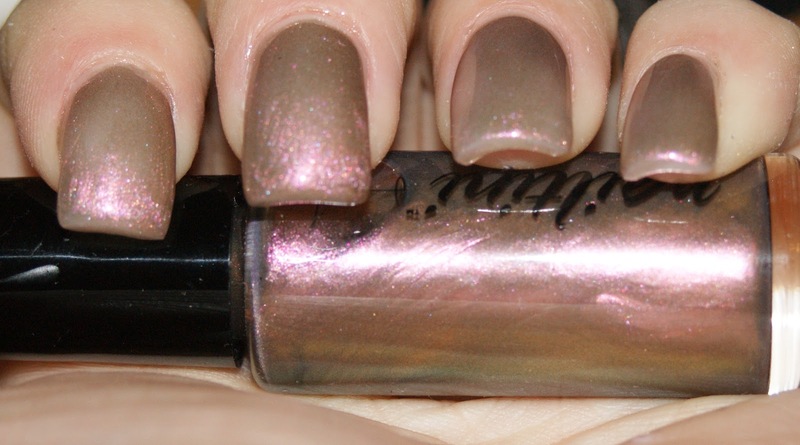 Here was the manicure from yesterday's post... a metallic/glittery foil, which is normally VERY hard to remove. 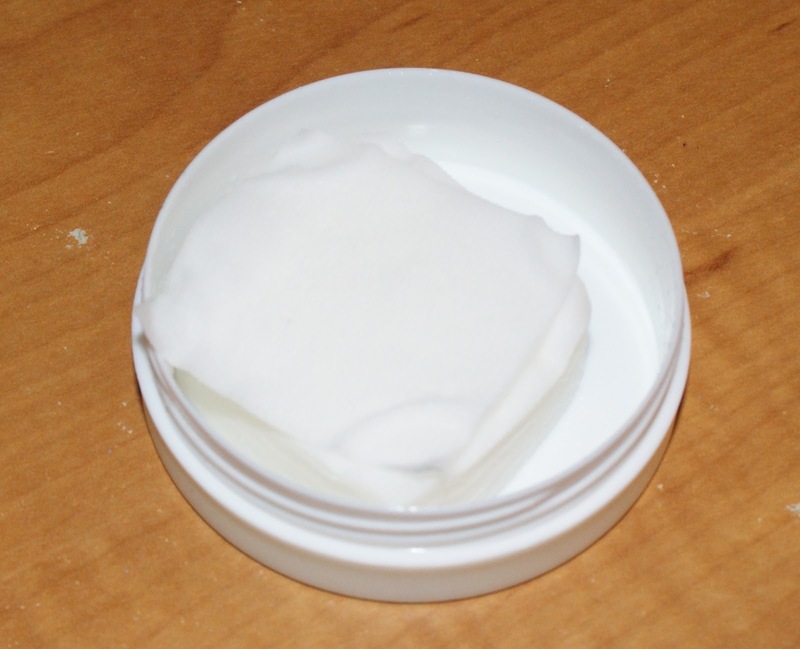 With the average remover, I would likely have to use a ton of remover and tissues. Here are two, clearly-used Cocktail Napkins. And guess what? They're the only two squares I needed to completely remove yesterday's manicure. I used both the front and the back to remove the polish, pressing it to the nail for a five-count and then wiping away the polish. Here is the end result. Not a single dab of polish left in the slightest. At all. And my nails and skin look fabulous. 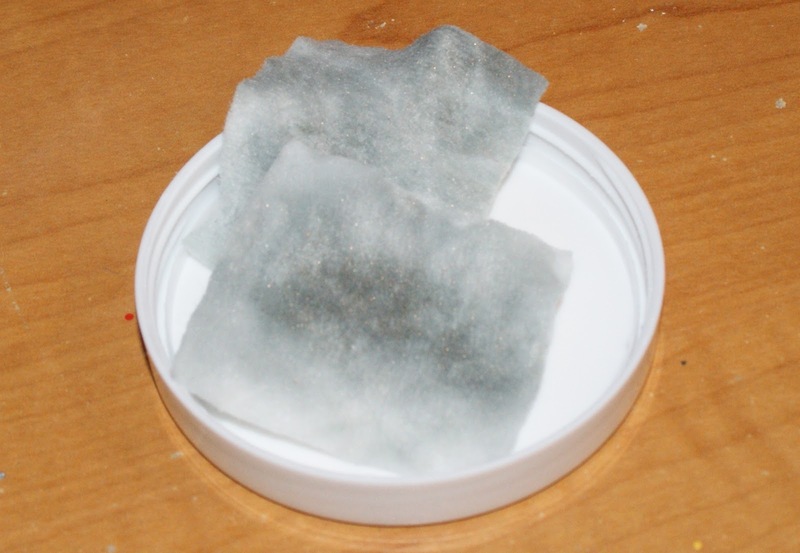 This is the perfect size to keep in your drawer and take with you on the go. As you know, nail polish remover is not allowed on airplanes because of a: the acetone and b: the bottle size. I'm fairly certain that you can take this on the plane with you! This will certainly be traveling with me on our next cruise! I'm going to declare this my holy grail beauty find of 2012. For $12, you get 40 squares (easily 20 manicures worth of remover) and you don't have to worry about moisturizing afterwards. I feel like every woman needs this in her life! Amazing! Moving onto the polish, the Mini Bar (!) set that I received is called Garden Party and was the second collection created for Nailtini by Janie Bryant, the costume designer for Mad Men. Janie is the one responsible for all of Megan's youthful trends of the 60's (and who can forget Sally's dress and boots?) and Joan's bombshell outfits. Plus... the woman dresses Jon Hamm in such dapper suits, how can you not love her? From left to right: Admiral Perry, Blue Carnation, Blushing Lady, and Garden Jubilee. 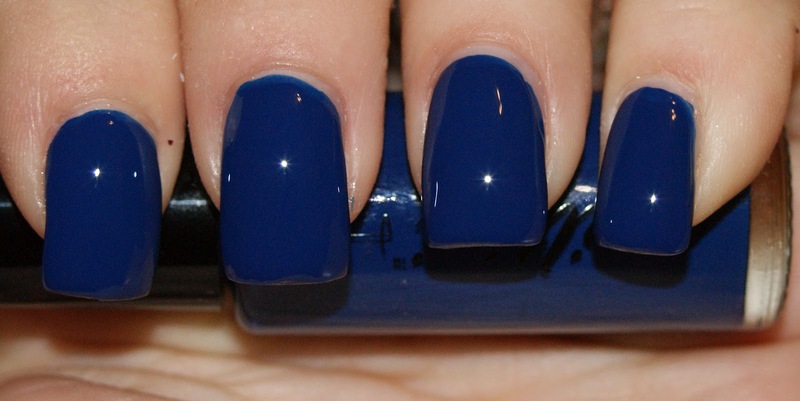 Admiral Perry is a royal blue jelly polish. 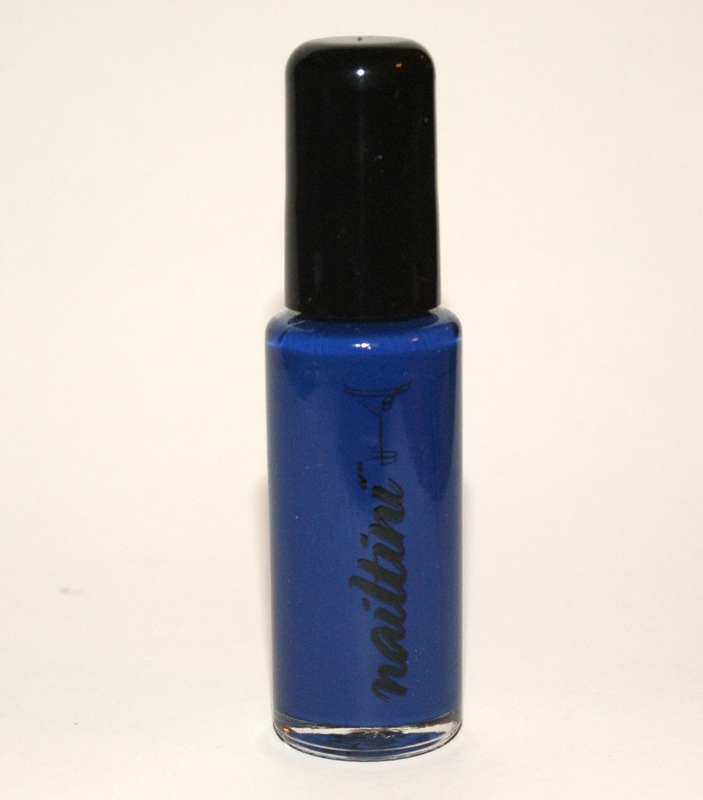 It's a touch more navy than Revlon Royal, but it has a gorgeous blue hue. 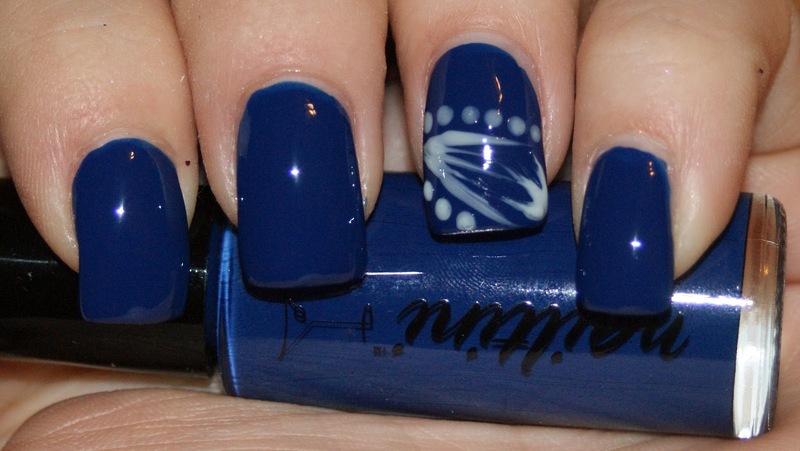 The application on this was stellar and the best of the four, with three coats needed for opacity. 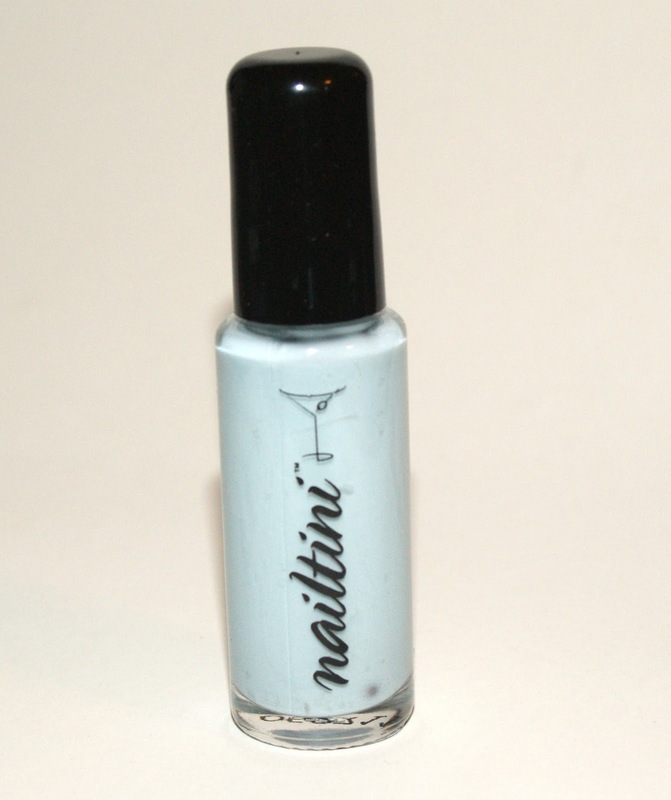 Blue Carnation is a milky blue-gray polish. I think this shade has a few formula issues, as the polish seemed watery and you can kind of see that it pooled on the sides and tips of my nails, leaving a think spot in the middle. And it's a shame because this would have been a great polish otherwise, though I could probably still use it for a jelly sandwich. Blushing Lady is a delicate dusty pink creme polish with a hint of lilac to it. The formula of this one was also a little watery, but didn't have any pooling issues and was easier to work with. This was with three coats. 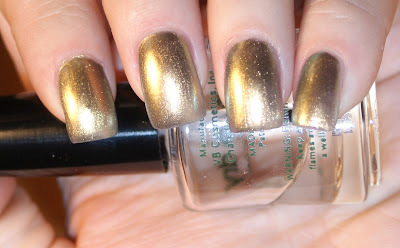 Garden Jubilee is a very difficult polish to describe. It is a frost, shimmer, and duochrome all in one. It shifts from espresso to khaki to mauve, all while retaining its shimmery pop. It's really a unique stunner. I LOVE it! The formula on this was similar to Admiral Perry and I only used two coats until opaque. Here, you can see the color shift a little better. Here's a blurred shot so you can see just how much the shade sparkles. Gah! Amazing! 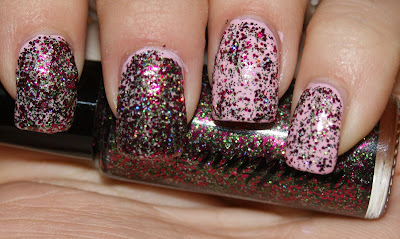 Not included in the set is the sparkle topper, aptly named Sparkler. Sparkler Topper - filled with bright pink and green glitter. Sparkler is definitely a party in a bottle! The first coat was a little tedious to apply, as I had to dab the glitter on more-so than brush it. But I could brush on the second coat. It really wasn't difficult at all... just not traditional in its application. Though, I honestly couldn't have cared less! Looking at this whole collection, polish-wise, I highly recommend (read: love) Admiral Perry and Garden Jubilee. Blushing Lady was pretty too, but I'm not so much into the pink cremes. Though, it was a three-coater and not streaky, so that's a plus for all you pinkaholics out there! Blue Carnation was a bust for me due to the formula, though Sparkler salvaged it. Last, but not least... I HAD to try out the striping brush and dotting tools! I wanted something simple and pretty, so I went with an accent nail. Of course, I went with Admiral Perry and used Blue Carnation as the art color. The striping brush was very easy to work with, as was the dotting tool. They were also very easy to clean, specifically the brush. A common problem with the striping brushes is the inability of the bristles to stay tight and compact after cleaning. I had no such problem with Nailtini's brush, which makes it my new standby. Overall, I really did love most of what Nailtini had to offer. I plan on ordering more cocktail napkins and will definitely be reaching for Admiral Perry and Garden Jubilee quite often. Plus, the striping brush and dotting tool will be welcome additions to my nail art supply drawer. I also love the idea of their Mixers, which are base polishes worn under a color to lighten (Cream) or darken (Espresso) the shade. Very smart indeed. The general idea that there are 100's of combinations, like with mixing cocktails, is genius. Who doesn't like multi-purpose polish? I know I do! The four-piece Garden Party Mini Bar Collection features four mini-sized (7mL) bottles of polish and retails for $25, just a dollar more than their other, non-designer Mini Bar collections. The individual, normal sized bottles (15mL) of the Janie Bryant colors retail for $14, with their regular line at $13 a bottle. The toppers, like Sparkler, are $13 a bottle. 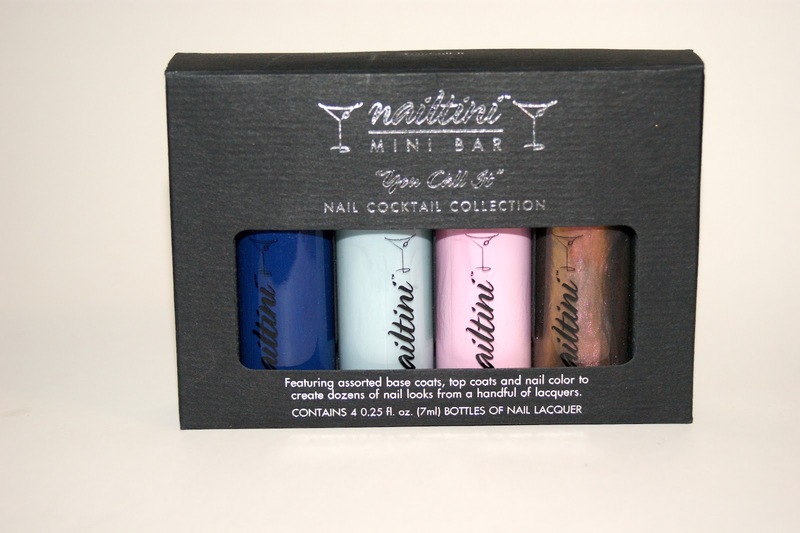 The entire Nailtini line (included mani and pedi products) and other Tini Beauty products are available through their website, TiniBeauty.com, and QVC. However, many Duane Reade locations and other stores carry Tini Beauty products, so you can search for a retailer near you here. Be sure to check out their Facebook page for more awesome updates! So what do you all think? Are you hopping aboard the Tini Train with me? Wow, all the polish's and everything are so wonderful! If it was more easily available I would definitely jump right on these!